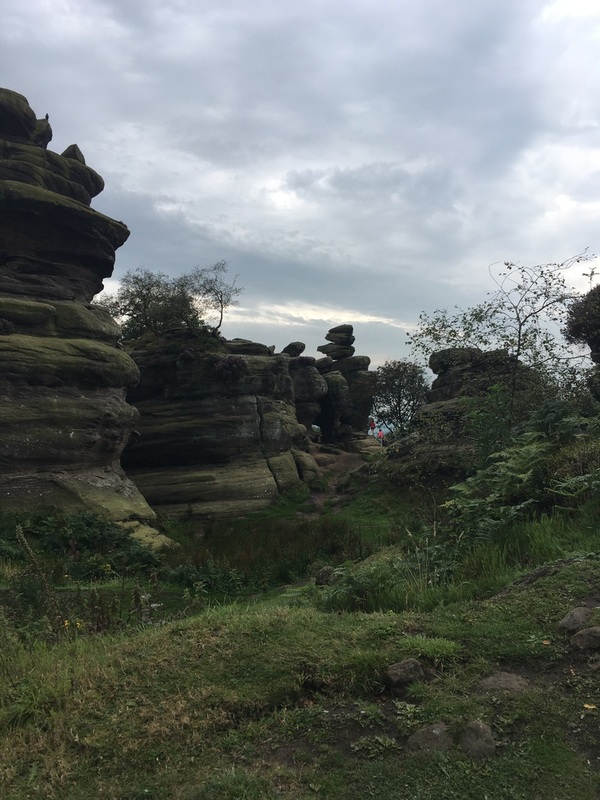 Our adventure this time took us to the beautiful Brimham rocks near Pateley Bridge, North Yorkshire. I’ve wanted to go here since I was a kid and have loved the pictures I’ve seen of the rock formations. 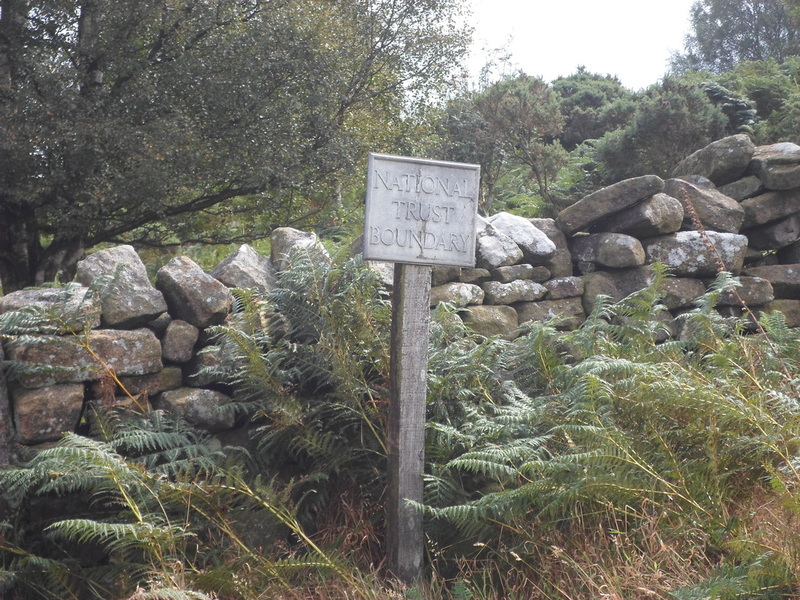 It’s a National Trust site and we decided to use one of their suggested walks in the area. Being a bank holiday weekend it was very busy and after negotiating some hair raising roads on the way there I was worried we might be turned away at the carpark. Phew, a couple of spaces left and we could begin our adventure. 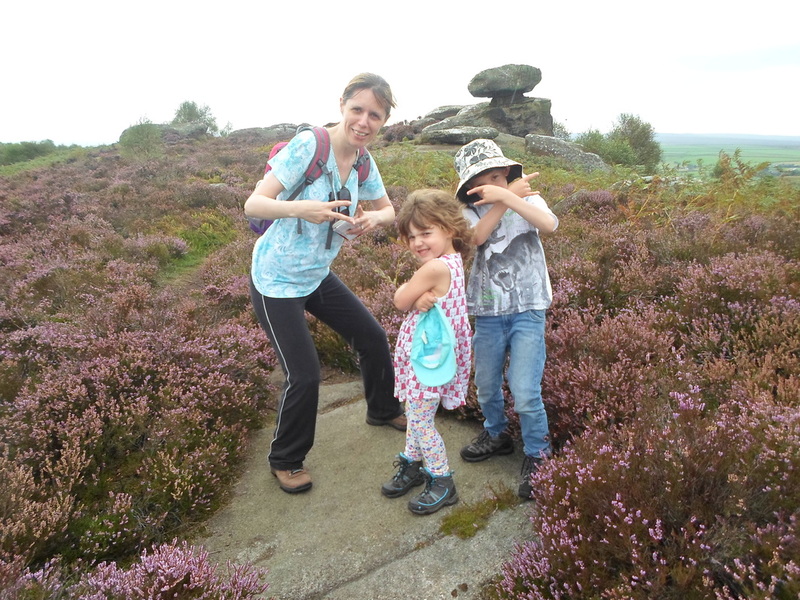 The instructions were easy to follow and at first we walked away from the rocks and made our way across heather moorland towards the National Trust boundary. 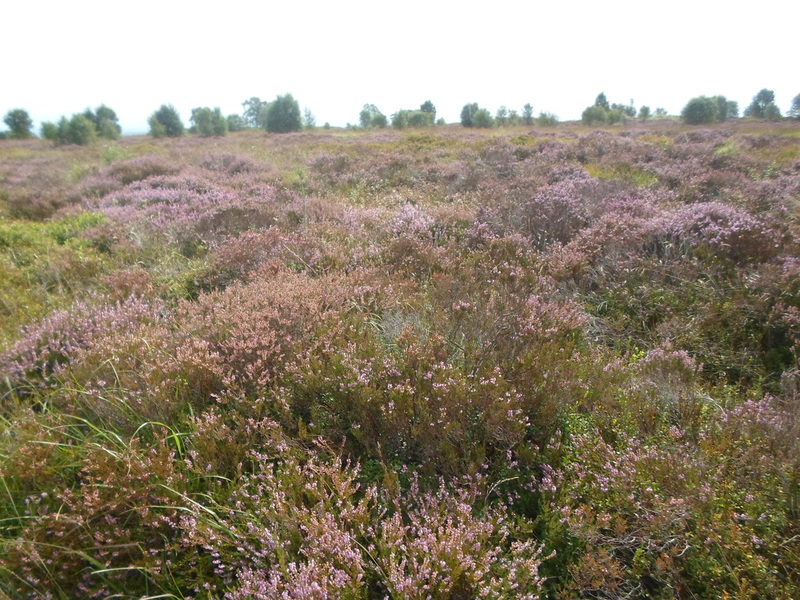 The beautiful heather looked like a purple carpet that went on for miles! 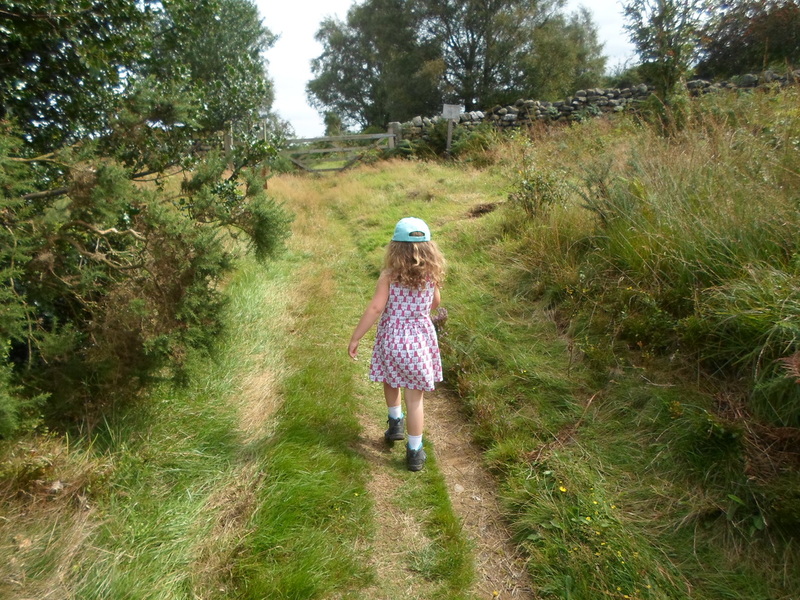 My little lady had dressed herself again wearing a favourite dress with bare legs, socks and walking boots. 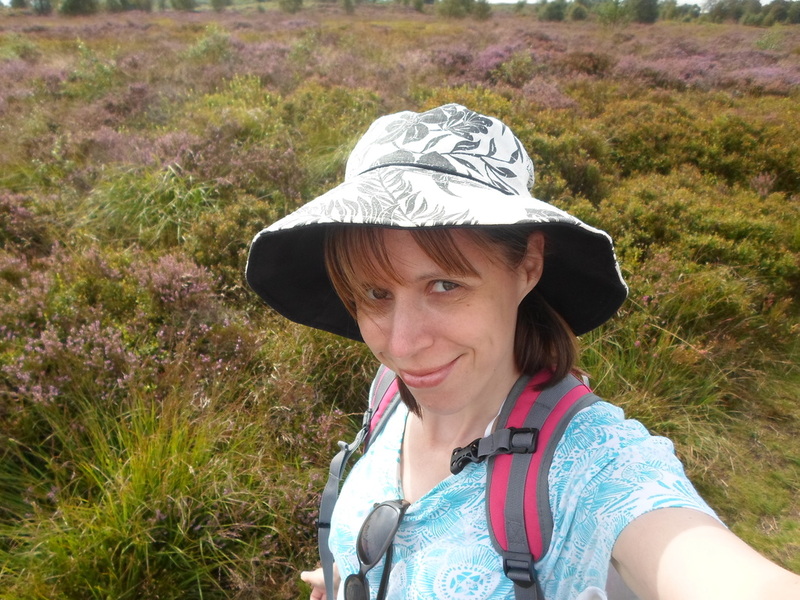 We had filled the rucksack with more appropriate clothing and after a few near misses with a thistle and a few nettles we persuaded her to add leggings to the ensemble! She was glad of it later on in our walk. Away from the crowded car park the moorland and public footpaths here were deserted and we had the place to ourselves, able to see for miles we could see the iconic ‘golf balls’ of Menwith Hill in the distance. Making our way through some farmland I was busy chatting away when suddenly something huge sprang up from the long grass. I yelped and it ran! The biggest hare I have ever seen was making a run for it. Sadly, the camera wasn’t out but it ran that fast I wouldn’t have got a picture. Apart from the hare the only other creature we saw was a very inquisitive cow and possibly a Buzzard hovering over a field. Passing farm yards, we came across old machinery and an amusing old porta cabin! Could have done with the loo too but not to worry. 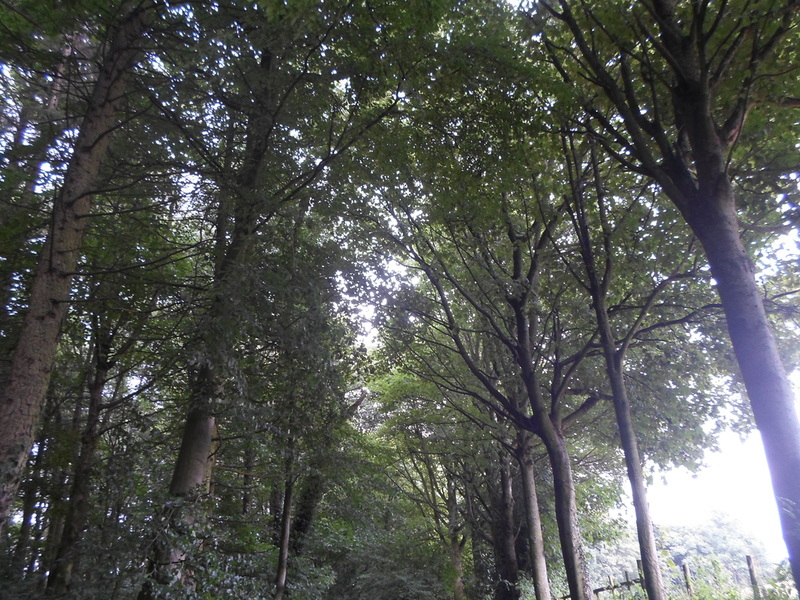 Following our instructions, we walked through avenues of trees, more fields and some spooky woodland. 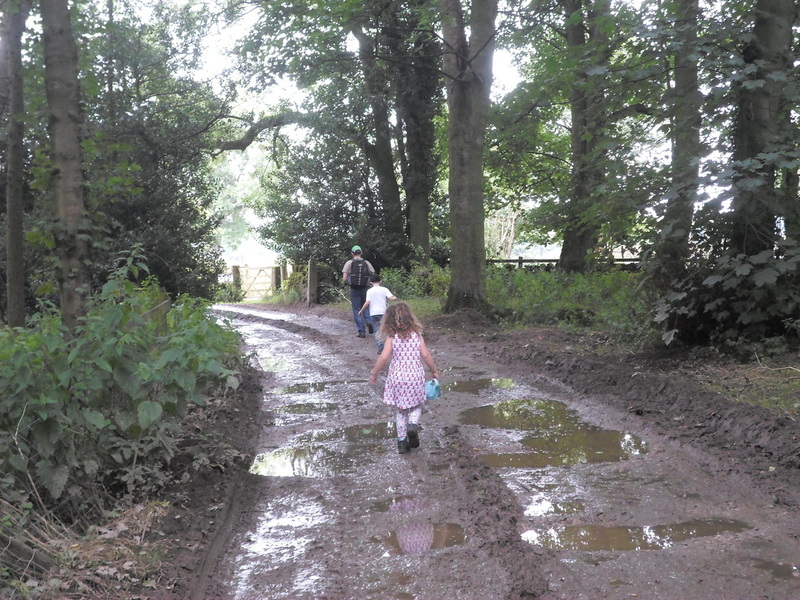 There had been a lot of rain in the days before so lots of lovely mud to navigate in places. 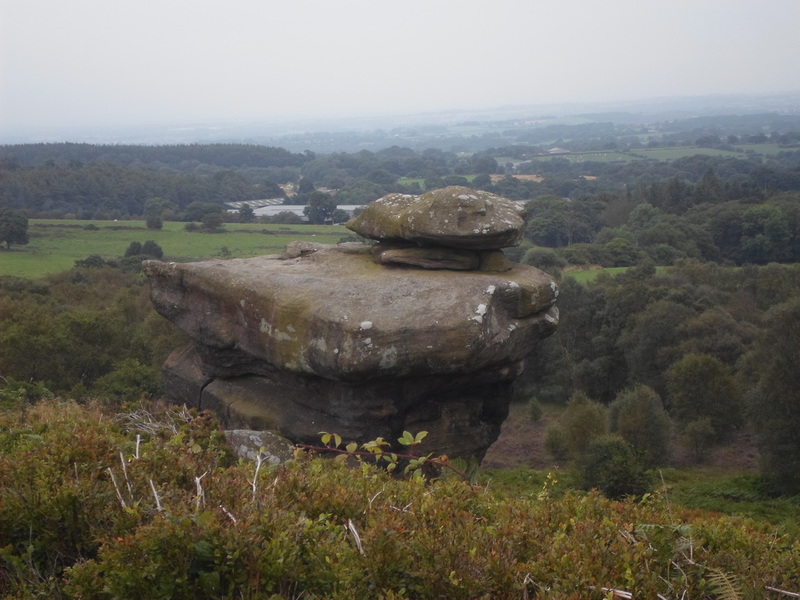 In no time at all we were making our way up a hill that led us to the road and the edge of Brimham rocks. 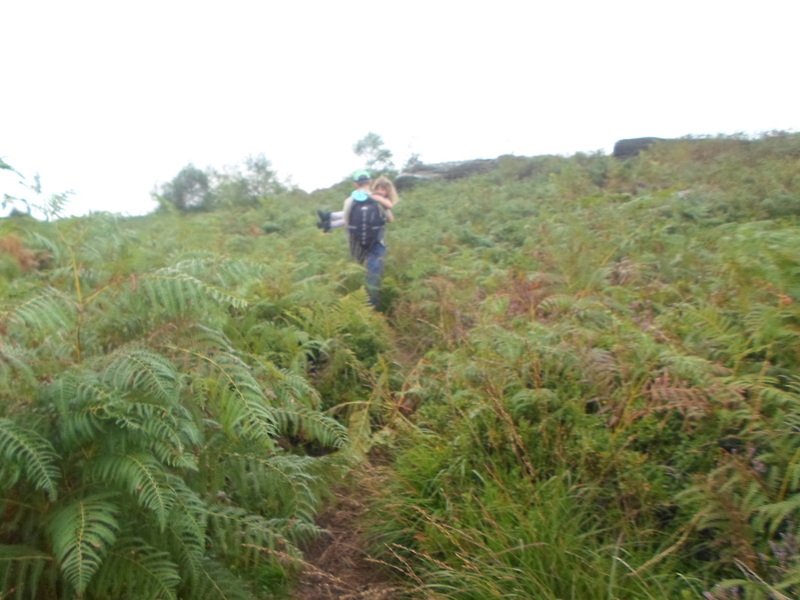 A little path took us again through the heather and tall grasses. At one point it was up to mine and hubby’s waists so my daughter had the grasses well over her head! Thank goodness we put those leggings on. Daddy to the rescue and she got a lift up the hill most of the way to a clearer path. 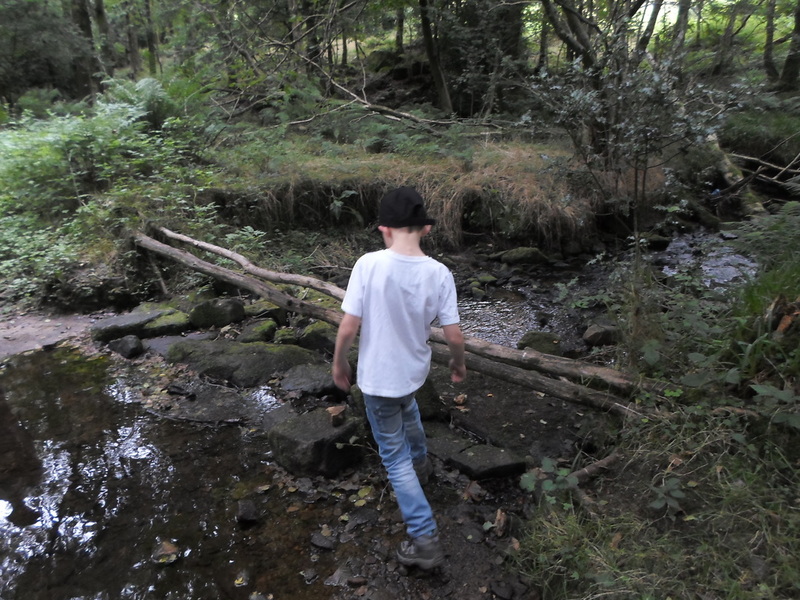 The kids were worried that we were lost but as we got closer to the rocks and more into this area we soon found lots of people exploring the rock formations. The weather had been a funny day where it felt hot and humid but was quite overcast, because of this my photos just don’t do the rocks any justice and I really struggled to get some great shots. As we were playing with the camera a small downpour arrived but after getting a bit hot and bothered it was quite welcome. By the rocks should you fancy there was a little hut selling drinks and icecreams, I managed to steer my two away but it looked popular. There is also a shop but we didn’t go in this time. 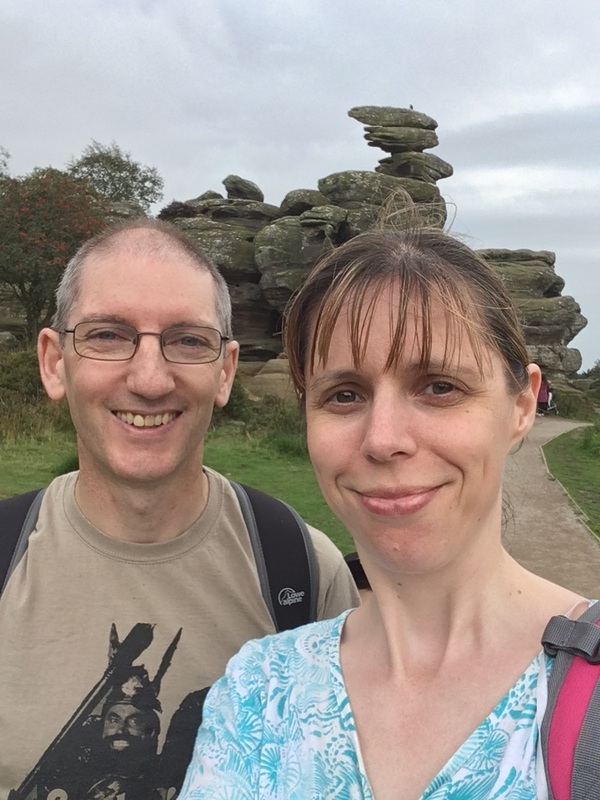 We really enjoyed our walk and the instructions were easy to follow, the scenery was lovely and I wasn’t disappointed with the rocks themselves. I can’t believe it’s taken me this long to visit and I’d definitely go back again and hopefully get some better photos! I also need to discover the rocks that have names. We paid £5 to park for up to 4 hours. All views are my own and I’ve received no incentive to write this. In other news I’ve booked my place on the charity trek I have been working towards, so in May 2017 I’m going on the Great Wall of China charity trek, eek! 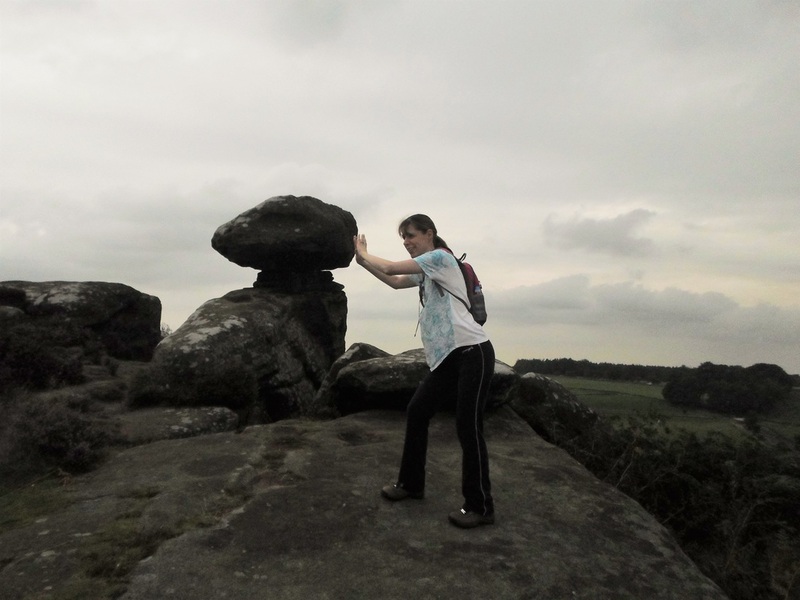 More about that another time but in the meantime I’m planning more training walks and fundraising ideas. Have you got a walk suggestion for me? Comment below or visit me on my facebook page. 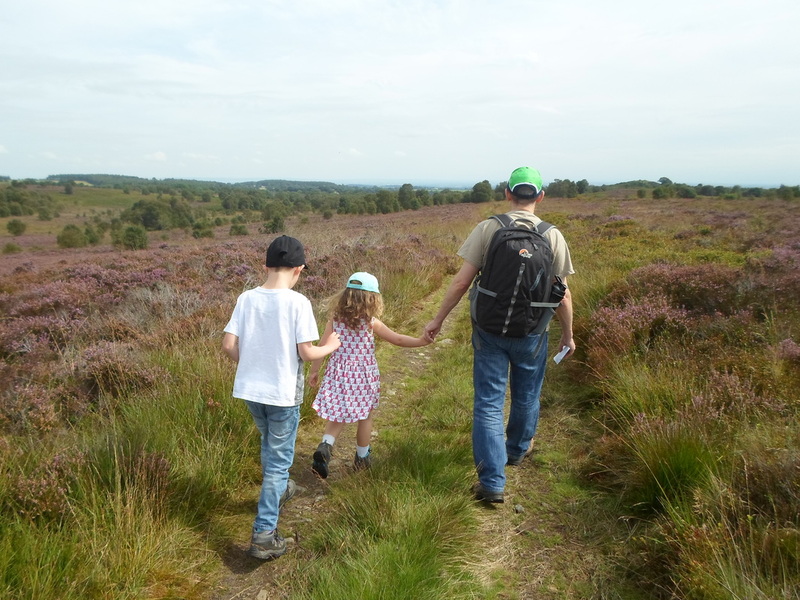 We are very lucky to have such scenery on our doorstep nearly! Thanks for reading. Yes, my Daughter always comes up with an eclectic outfit mix for walking! I keep saying we must go back too! Thanks for reading.